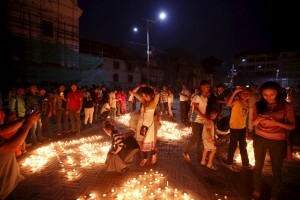 One year after a 7.8-magnitude earthquake flattened sections of Nepal, hundreds of mourners gathered Sunday in the country’s capital city of Kathmandu to pay homage to the nearly 9,000 people killed in the catastrophe. During a memorial service in the historic Durbar Square, where signs of the disaster can still be seen in piles of rubble and debris, relatives and friends of the victims lit candles, laid out wreaths and photos and prayed for those who died on April 25 of last year. The quake killed 8,856 people, destroyed more than 600,000 homes and damaged another 185,000 buildings, sending residents to the streets where many stayed for weeks. About 22,000 people were also injured by the tremor. 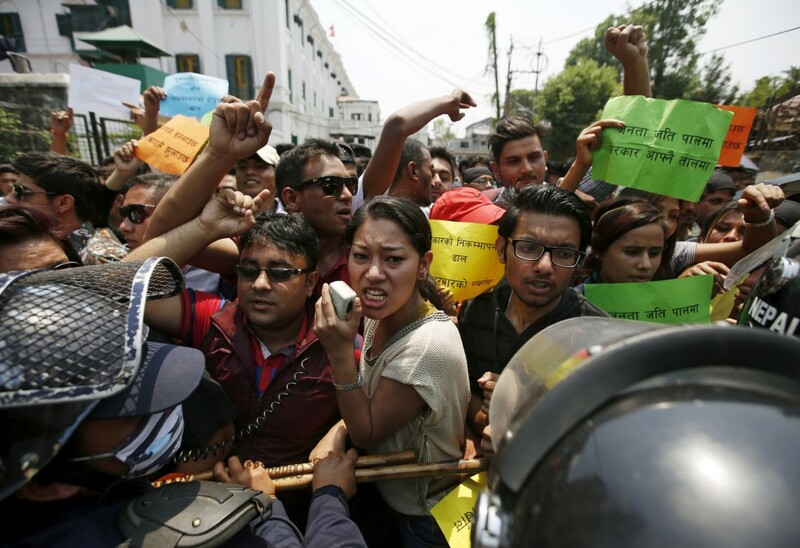 Also on Sunday, 100 protesters who gathered outside Nepal’s Prime Minister Khadga Prasad Oli’s office tussled with riot police as they demonstrated against shoddy reconstruction efforts. “Government, where is reconstruction. Open the gates of the government,” the protesters chanted, according to Reuters. “We are hoping that the government’s priorities and perspectives on reconstruction will soon be clear so that we can help people to rebuild and get their lives back on track as quickly as possible,” said Max Santner, Head of Nepal Country Office. 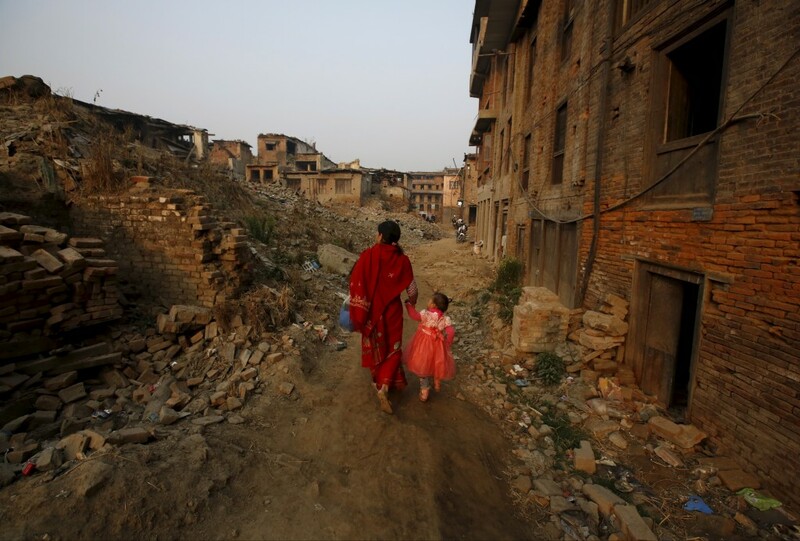 The Red Cross handed out more than 130,000 emergency housing provisions during the months that followed the quake, but Nepalese government has been slow to rebuild affected areas and homes, the organization said. In total, 14 districts were hit by the earthquake, including hard-to-reach villages. “Living under plastic sheeting was never intended as a permanent solution,” said Dev Ratna Dhakwa, Secretary General of the Nepal Red Cross Society. The country has received $1.28 billion in foreign aid with another $2.82 billion pledged by outside nations, the Associated Press reported. The country’s foreign minister said progress was slowed as the government conducted surveys of the damage.